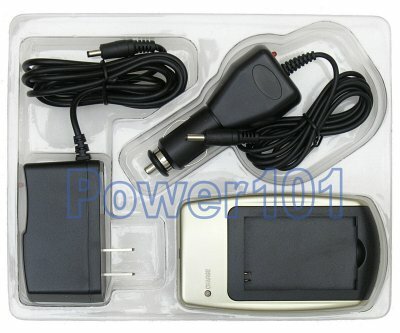 This is a standard generic charger for Sharp BT-L226 BT-L226U camcorder batteries. It has fully-automatic charging circuitry with automatic shutoff when the battery is fully charged. This is the charger to use with VL-Z1U VL-Z3U VL-Z5U VL-Z7U camcorders. This charger does not require multiple plates to charge the batteries listed above unlike some other multi-plated chargers. It is designed with the layout to fit either of these batteries without any changes. Q: Why is the battery 7.4V and the charger outputs 8.4V? A: The charger is limited at 8.4V, but does not go to 8.4V immediately when the battery is just plugged in. It first charges the battery at a constant current until the voltage reaches 8.4V. Then, it stays at 8.4V for a few minutes. Then it shuts off and the LED turns green. This is according to Li-Ion charging specifications. 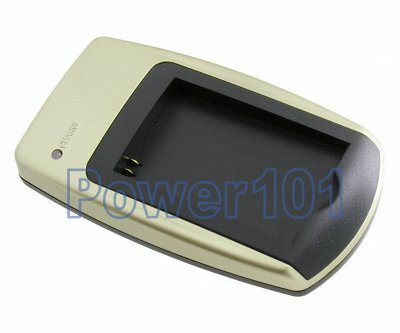 It is different from Ni-MH or Ni-Cd battery charging. Read our FAQ for battery charging tips.